Pruning tools are also called as pruning shears. They are similar to scissors in design and mechanism. The only thing that differentiates them over regular scissors is that they’re purpose is to be used on cutting plants, tree branches, and shrubs. These pruning tools are fully capable of cutting even the thickest of branches, with some premium tools being able to cut two-centimeter-thick shrubs. Pruners are the most popular type of pruning tools because they are affordable and very easy to use. If you need to be precise in cutting, this is what you’re going to need. The way it is shaped makes it easier for you to cut at the right angle. But take note that it would be quite difficult for you to use these when cutting large branches. These work well with thin stems and small branches. Hand shears are what you need if you’re going to trim shrubs or cut down hedges. These look like regular scissors, except that its handle looks like that of a pliers. It features a short blade at its tip which is usually 1 to 1.5 inches long. If you want accuracy and precision when cutting, this is what you need. Its small size and lightweight body make it easy for you to work on small details. Hedge shears are also identical in shape with regular scissors. It's just that they're much bigger and stronger. This is what you need if you want to cover a large area with every stroke. Hedge shears have long scissor-like blades that make it easier for you in cutting huge areas of grass at once. What makes them different from other pruning tools is that they make straight and long edges for each cut that it does. This helps you easily maintain the hedge's shape. 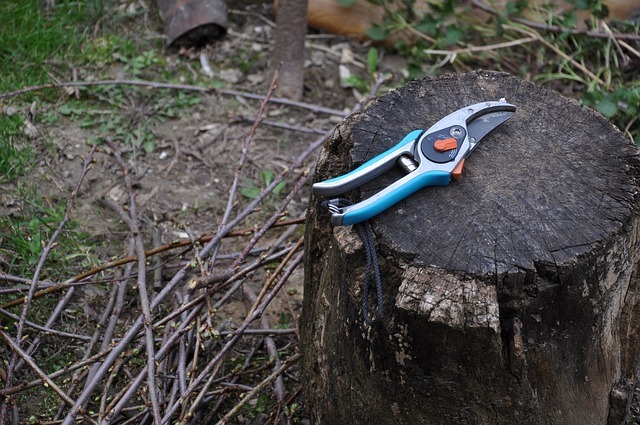 Loppers are designed for pruning small branches and cutting twigs. They look like hedge shears, but their blade is much smaller. You operate them by using two hands. The first time you use them might be a bit tricky because you have to adapt to its very light weight caused by its small blade. This is the perfect pruning tool for working on hard-to-reach places. Long-armed loppers are longer and much stronger than regular loppers. This makes them the recommended pruning tool of choice if you’re going to cut or remove large branches. Removing those that are found overhead might be difficult, but it won’t be when you use this one. These are designed to help you deal with branches or stems that are found on high places. Pruning saws are also important pruning tools because they are your last resort if you find it hard to cut using hand pruners or lopping shears. These are great in swiftly dealing with small limbs and branches because of the ease in using them. You just have to swing them back and forth when cutting branches. That's how easy it is to use.